Social media campaigns to Europe’s touristic assets are emerging as a major tool for exposure in the Chinese market. 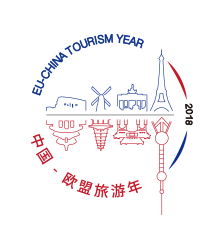 The European Travel Commission (ETC) recently completed its first such immersive campaign sponsored under the EU China Tourism Year (ECTY) framework and obtained excellent results. The campaign was multi-layered, prominently featured on ETC’s own channels under the banner of Brand Europe on WeChat, the #1 social media mobile platform in China, and Weibo, the premier Chinese microblogging site. Additionally, the content was developed in cooperation with Key Opinion Leaders (KOLs) and other influencers to connect on a deeper level with target audiences in China by multiple channel presence with the addition of such key social media sites as Meitu, Ctrio and XiaoHongShu. In the four categories numbers were as follows: Impressions (1,382,853), Fan Growth (3,575), Participants (5,892), and Engagements (5,620). (弱冠年华) who created amusing comic pictures of some of the facts to reinforce the promotion of the game. Further incentives to encourage the participants to spread the game were prizes such as GoPro and Polaroid cameras, E-shopping cards on WeChat and Youku memberships on Weibo.